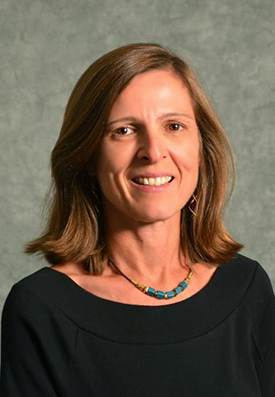 Dr. Michael comes to USFSP from Duquesne University in Pittsburgh, where she was a professor and served as Chair of the English Department and Associate Dean of the College of Liberal Arts. In the latter role for the past three years, she oversaw 12 departments that housed 22 majors and included 1,500 undergraduate students and approximately 500 graduate students. After spending 26 years at Duquesne, she was drawn to USF St. Petersburg for its growth potential, community feel and how faculty and staff are genuinely invested in the academic success of students. We sat down with Dr. Michael to hear more about her academic and professional experience, strengths she brings to the role of Dean and her vision for the College of Arts & Sciences. Tell us a bit about your academic, research and professional background? My PhD is in English, really Literary Studies, which I earned from Emory University. My area of research is contemporary American and British literature. I have always been a big reader and enjoyed literature, especially what is currently being published. Literature tends to be associated with the past, but there are all sorts of interesting things being written right now dealing with contemporary issues. For years I have taught courses in literature and also in creative writing. I started out at Duquesne University as an Assistant Professor and worked up to Professor. I also engaged in administrative work, such as serving at Graduate Director for the English Department’s M.A. and Ph.D. programs and helping to create a Women and Gender Studies program and directing it for a number of years. I also served as Chair of the English Department for six years and for the last three years was the Associate Dean for the College of Liberal Arts. That’s a tough question. There are too many. I think Toni Morrison is one of the great American authors and I really enjoy reading and teaching the work of Margaret Atwood. There is just so much being published; there are so many excellent authors to choose from. What do you see as the major similarities and differences between teaching a class versus being in an administrative role such as Dean? The overlapping similarity between the two is that the primary focus is student experience. You want students to get the best possible experience and develop their skills; skills of thinking, writing and thinking critically and creatively. It is key for both the teacher and the Dean to make sure that happens. The difference of course is that as a teacher a huge portion of your time is in the classroom and meeting with students individually. As Dean you are looking at the big picture and making sure faculty members are being supported and the curriculum is continually being reviewed and revised to meet current student needs. In a sense you are supporting the students through those who teach them and the curriculum they are being offered. What drew you to USF St. Petersburg and this job specifically? After three years as an Associate Dean and really enjoying that position, I thought it would be interesting to be a Dean. This particular job drew me because the mission of USF St. Petersburg is very student centered and very much in line with my previous institution. I was also looking to go to a public institution. Providing education for everyone is something I really believe in. Also, I felt I would be able to work well with the people I met, and I really like the way the University stresses partnerships with the community and the city. Education is not something that is separate from the real world and universities in general need to do a better job of making those links. What strengths do you bring from your previous experiences? I think I am good at organizing priorities and people, thinking strategically, while keeping the focus on students and research, and trying to make all the processes that get us there as simple and efficient as possible. I have also done a lot of teaching and of research throughout my career, so I know what it takes to be both a researcher and a teacher. And I like to grow things – such as creating the Women & Gender Studies program at my last University. It is extremely fun and rewarding to create something that was not there before, building upon existing strengths. When you analyze the strengths of the College of Arts & Science, what do you see? The College has many great teachers and some excellent researchers. It also has distinct programs that are worth developing even further. And there seems to be a strong focus on interdisciplinary degrees that emphasize outreach to and partnerships with the community, such as the new Sustainability major, the Health Sciences major, and the Florida Studies program. Moving forward, those kinds of interdisciplinary degrees are going to be more what students are looking for, as predictions are that having one career will no longer be the norm. Being educated in a way that allows people to be ready for a number of positions, and interdisciplinary degrees by nature do that. I would also like to further the College’s programmatic areas in the arts. The city has so much going on in the arts, so it seems only natural to expand partnerships and create interesting new programs with the arts community. For example, people have to run theaters and art museums, so developing a program between the College of Arts and Sciences and the Kate Tiedemann College of Business around arts management or business in the arts could be an exciting new possibility. I enjoy doing a lot of outdoor things. I bike, sail and just got recertified in scuba diving. I had not gone scuba diving in 30 years, but I figured being here in Florida I should start again. And I love skiing, but of course now I will have to travel to enjoy that. Also, I was born in France and still speak fluent French. I moved to the U.S. when I was 8 ½ years old. Because I was young when I arrived and have been here so long, I don’t have an accent and so nobody realizes that I came from France, except for my “difficult” first name.